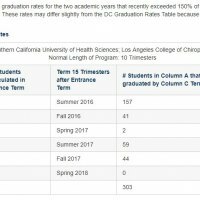 Hover your mouse over each to enlarge and/or CLICK on the image to view full size. 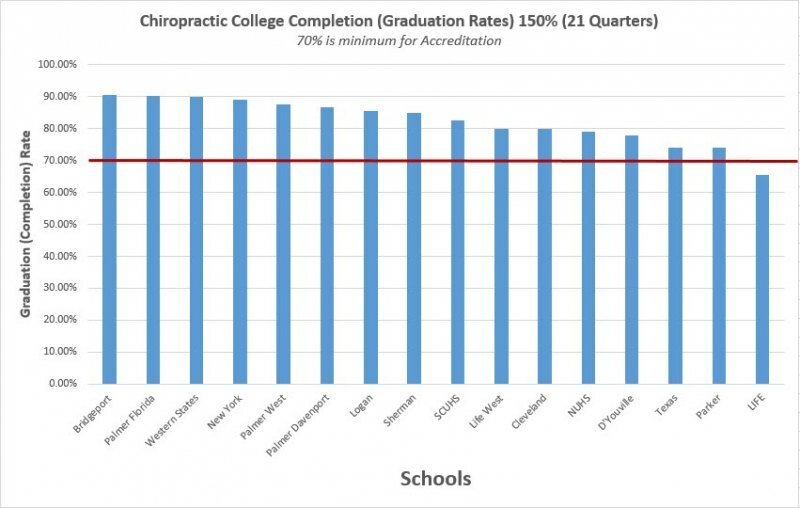 Graduation rates are reported by colleges as the percentage who graduate in 6 years. 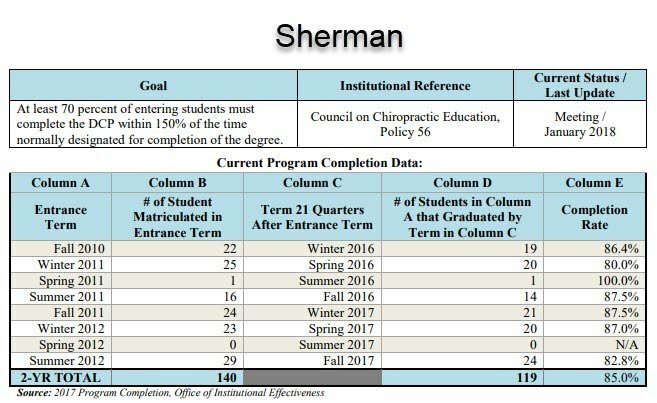 The percentage of students who graduate in 6 years is a federal government reporting requirement. 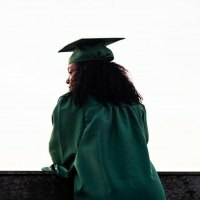 Any school that awards federal student aid dollars (which is all of them), is required by the Student Right to Know Act, to supply the federal government with certain information, including the percentage of students who graduate within 150% of the typical time to a degree (or 6 years at a 4 year college). 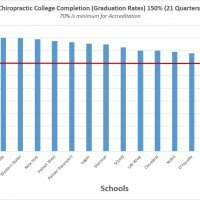 The Council on Chiropractic Education (CCE) is the profession's sole accrediting agency responsible for the quality, integrity and ethical issues related to the accreditation process. 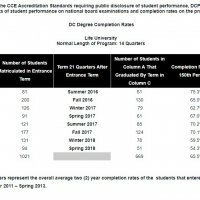 The CCE has reporting requirements regarding Student Performance Disclosures, Thresholds and Outcomes. 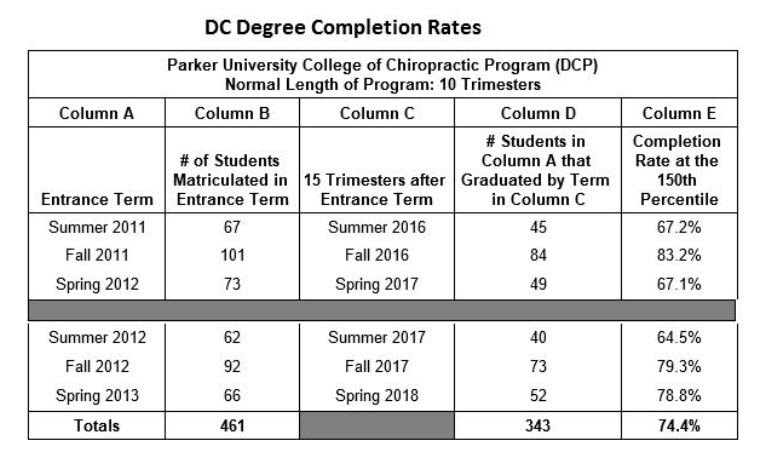 NOTE: The two most recently completed academic years of data must be submitted based on the DCPs calendar. 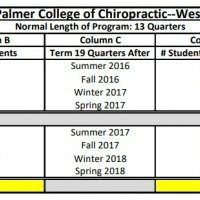 Eight data points should be entered for quarterly systems and six data points should be entered for trimester systems. 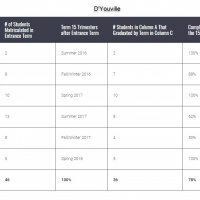 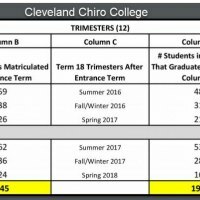 In keeping with the CCE Accreditation Standards requirements concerning student outcomes, the following are established as thresholds. 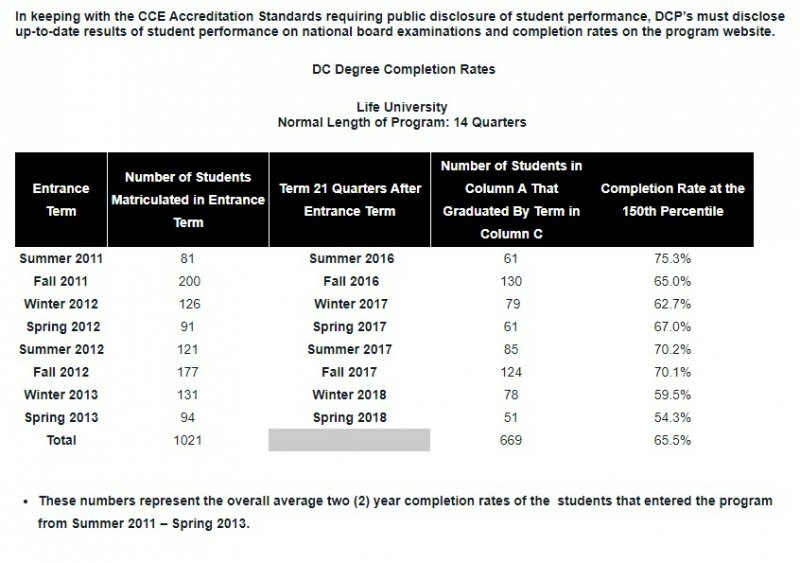 Performance below these thresholds, as derived from data obtained by the Council, will indicate the need for further review and action as determined by the Council. 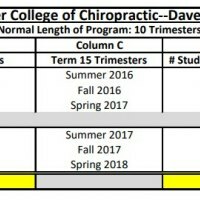 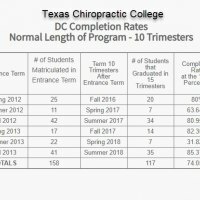 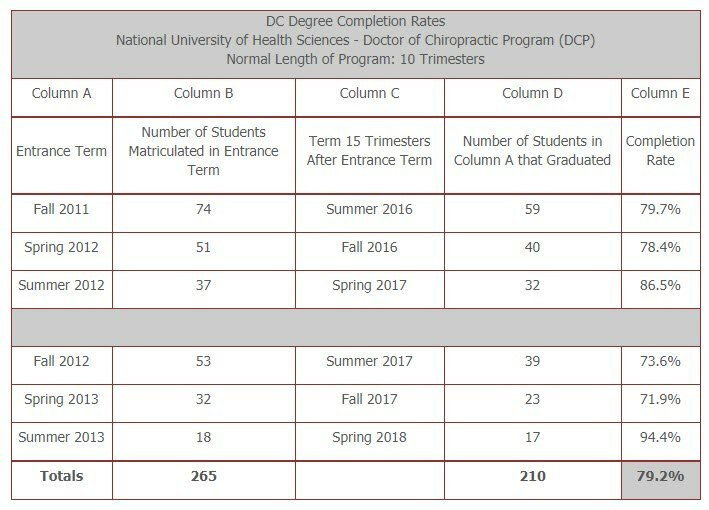 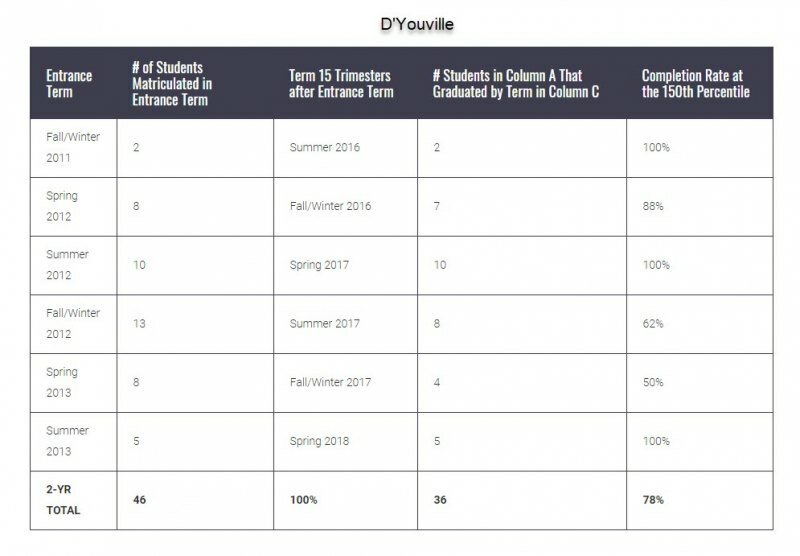 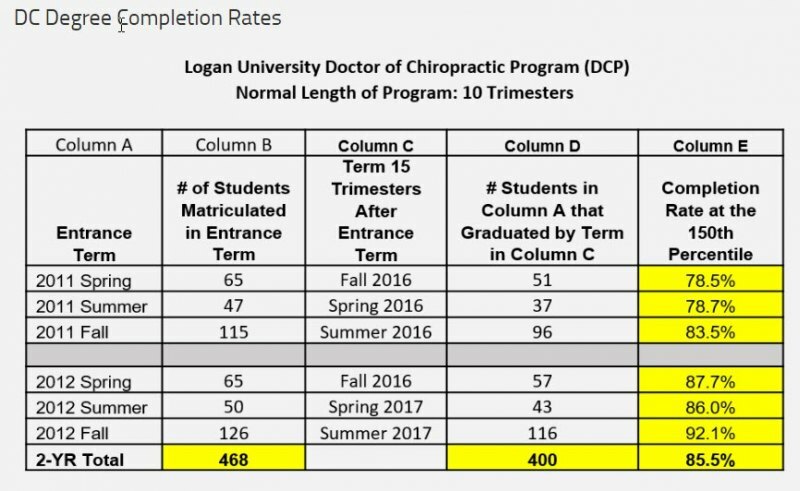 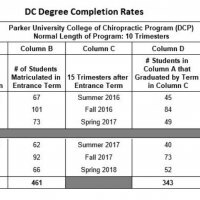 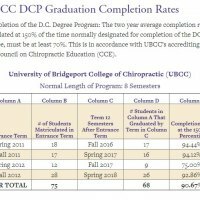 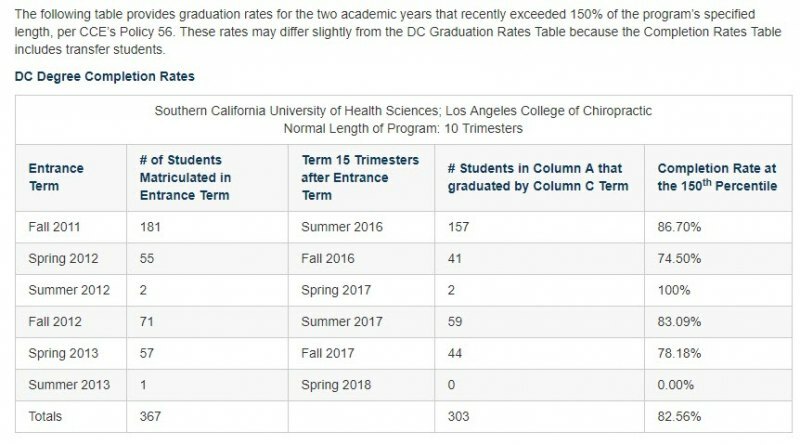 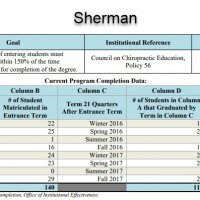 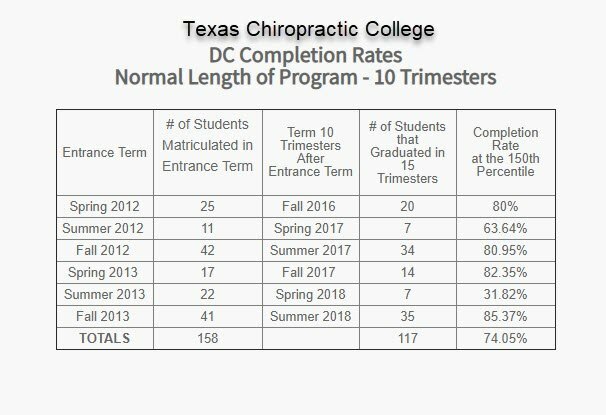 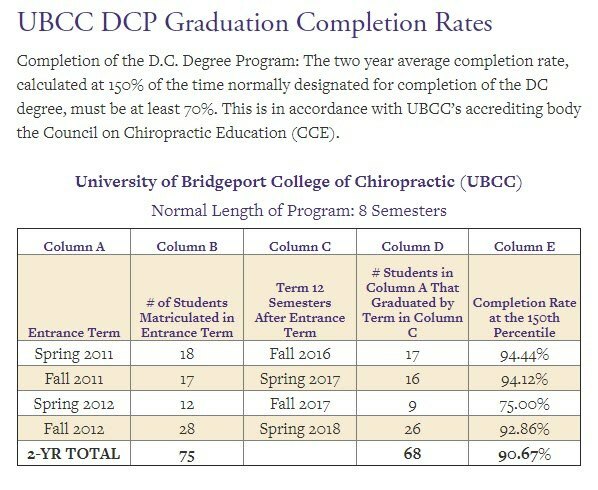 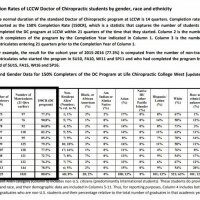 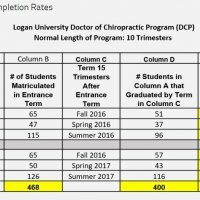 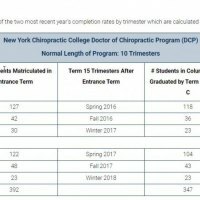 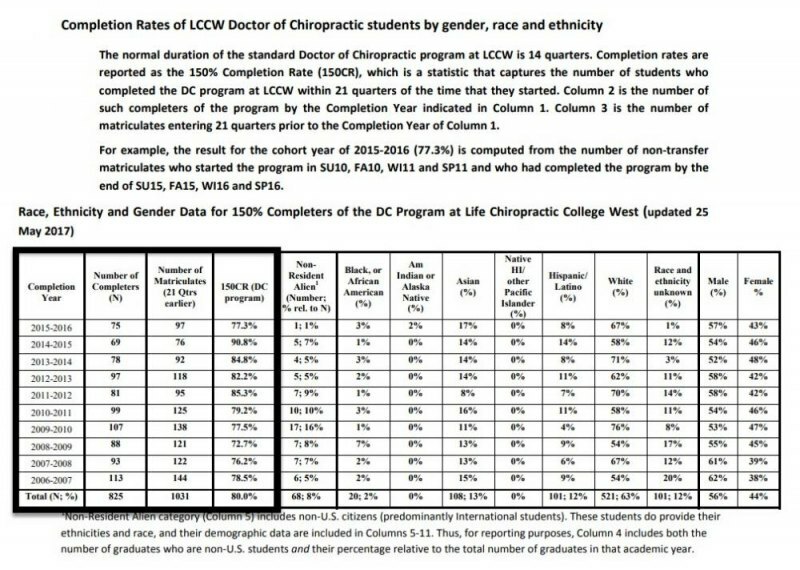 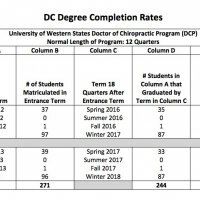 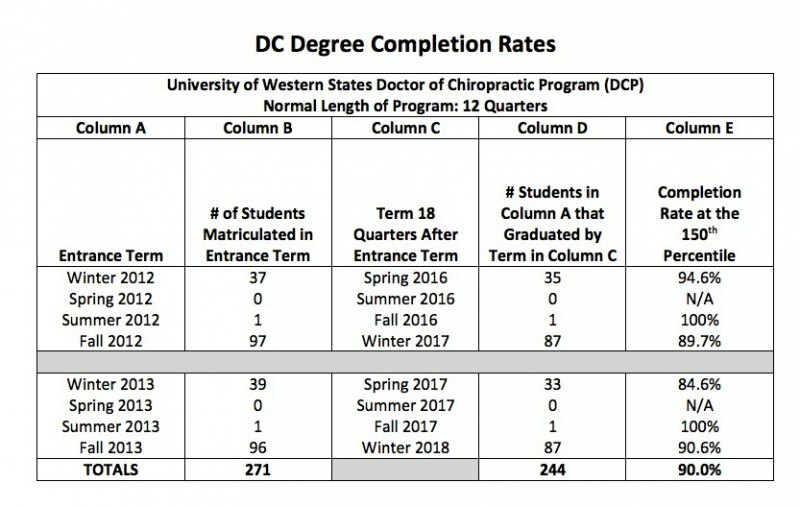 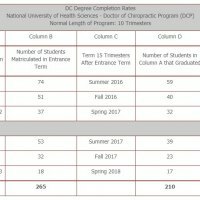 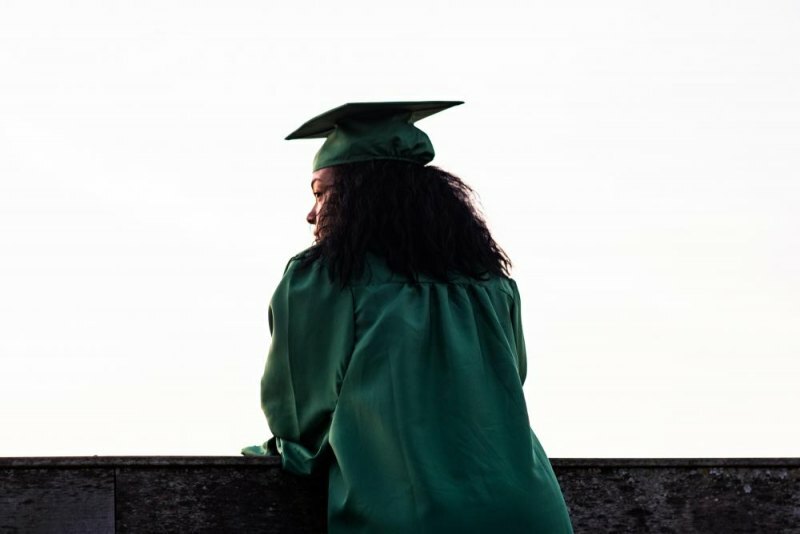 The two-year average completion rate, calculated at 150% of the time normally designated for completion of the DC degree, must be at least 70%. That means 21 quarters for a 14 quarter program.